Usually when coaches get sacked at this time of the year, their team is languishing towards the bottom of the ladder and the interim coach’s job is to restore a little bit of pride on the long journey back to redemption. 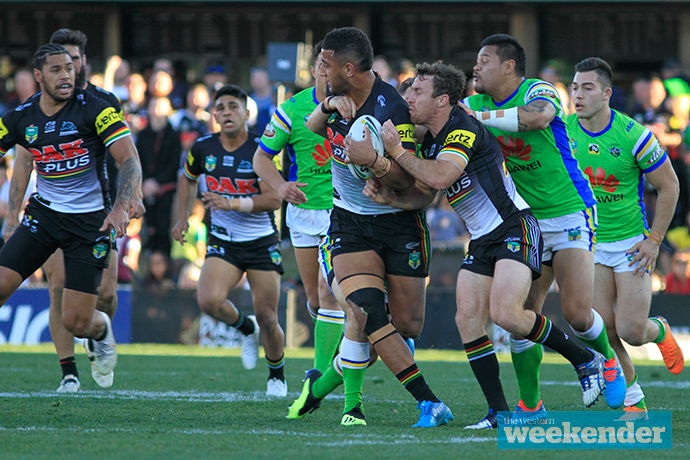 For the Penrith Panthers, it is an entirely different scenario. Cameron Ciraldo replaces Anthony Griffin with the Panthers still fighting for a top four spot, just a month out from Finals football. It is as much an exciting opportunity for Ciraldo as it is a daunting one. Such is the nature of first grade football these days, not much would have changed for the players this week despite the enormous disruption happening in the club’s coaching ranks. They would have trained as normal, albeit with different eyes watching over them. Just 24 hours into the job, Ciraldo made the decision on Tuesday to stick with the same team that beat Canberra last Sunday, with the only tweak being Reagan Campbell-Gillard’s promotion into the starting side. Ciraldo would want to harness the confidence of last week’s win with the reality that once again they let a weaker opposition score too many points against them. Recent victories are hiding poor performances and against the better sides in September, Penrith will be annihilated unless things improve. In the back half of last week’s game, and against Manly the week prior, Penrith seemed to throw away their structure and toss the ball around more, gaining confidence every time a pass stuck, a break was made or an error was forced. Ciraldo will surely want to see more of that enthusiasm throughout the entire contest rather than when the scoreboard looks daunting. While we shouldn’t expect a major overhaul, I would tip we’ll see slight tweaks to the game plan and a little more risk as opposed to structured, safe football. 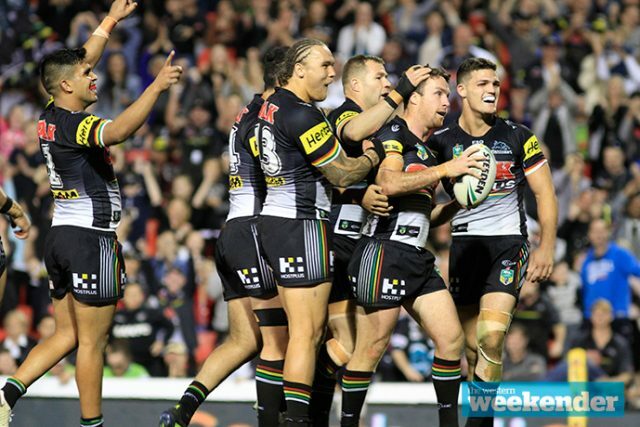 The Titans were poor against Parramatta last weekend but really turned it on against the Warriors a fortnight ago and if they bring that type of game to Cbus Super Stadium on Saturday this will be no easy task for Penrith. You can expect the Titans to target Penrith’s left-side defence like Canberra did for much of the game last Sunday – there’s no hiding from the fact that James Maloney is a liability on that side of the field (though he certainly makes up for it in attack and in his leadership). Penrith will surely work on tightening that up more and offering better protection to Maloney. Maloney is hardly the only five-eighth in the competition that struggles in defence, it’s all about how you hide him and manage the defensive line. Campbell-Gillard will be better for the run after returning from a broken jaw last week and with James Tamou in solid form I’m expecting the Panthers to really take it to the Titans through the middle during the first half. A patient but fun game plan should pay dividends as the game goes on with the Panthers likely to have plenty of opportunities to score points against a tiring Titans defence. The Gold Coast are no easybeats but with the players seemingly happy with Penrith’s coaching switcheroo during the week, I’m thinking the visitors will get home here and kick off Cameron Ciraldo’s coaching career with a win.